Flexpak manufactures custom sewn lumber covers for use with sawn wood and lumber products. Lumber covers sewn to form fit are an excellent choice for mills and yards needing protection for their products while in inventory or in transit. Sewn lumber covers manufactured at Flexpak can be produced with or without print. All sewn lumber covers are folded, bundled, and palletized. Fast turn-around production is possible, as manufacturing takes place in United States. Sewn Lumber Covers allow for the option of different prints or different material on the end of the package. The sewn lumber covers are folded in a specification allowing for ease in the application process. 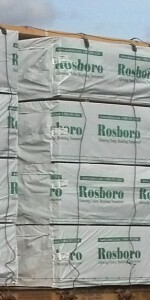 Smaller bundles allow for less free floating lumber covers in the customer’s plant. Upon order, bundles of sewn lumber covers will be palletized by stretch film stacks or be delivered in a box per the customer’s requirements. 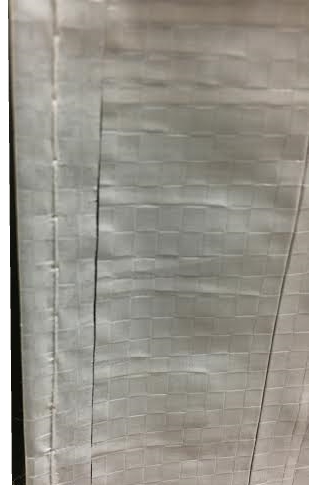 A sewn lumber cover can have the same aesthetic characteristics as lumber wrap, and if applied correctly, will have a more consistent look than a lumber wrap pallet (due to inconsistencies in cutting lengths). With one end fastened by staples, the tightness of the package is determined by the applicator, who has the power to determine the tension on the fit. In many cases, an application of a sewn cover can look better than a wrapped product. Flexpak also recommends sewn lumber covers when there are conditions that restrict the use of stapling on lumber and wood products. A sewn lumber cover will be form fit, and this allows for comparatively less fastening applications than lumber wrap. In fact, there have been several instances of customers applying sewn lumber covers without an addition to strapping, leaving the staples to the wayside. Please feel free to contact Flexpak at any point to discuss sewn lumber covers as a packaging solution for your product.